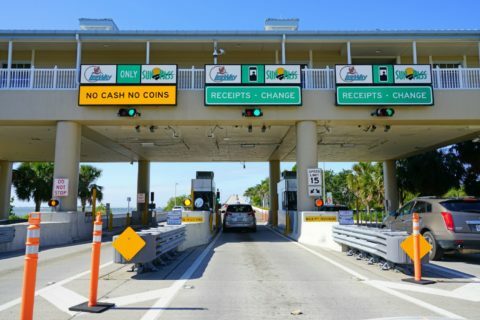 What can I expect when I cross the state line into Florida? What’s it like driving in Florida? Are there any unique road rules in Florida? I’m going to answer all of these questions — and more — for you. 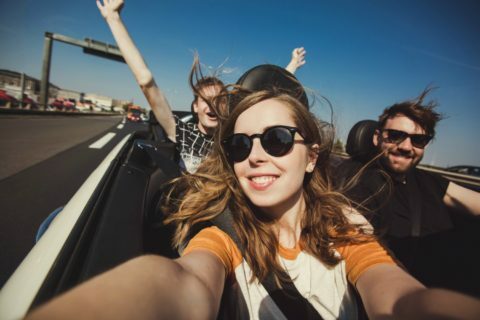 Hopefully, this post will make your Florida road trip much less stressful and a whole lot more FUN! What Happens When You Cross The Florida State Line? 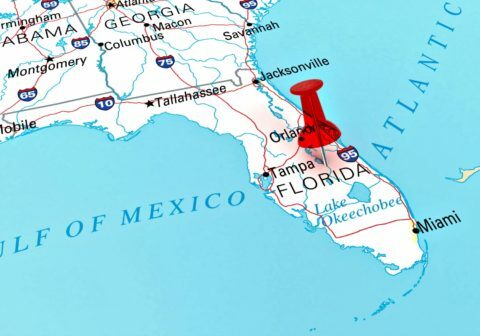 If you’ve never driven to Florida before, you may think you’re going to suddenly see beaches, palm trees, and theme parks the minute you cross the Florida state line from Georgia or Alabama (the only 2 states with which Florida shares a land border). But, the reality is northern Florida (and even much of Central Florida) doesn’t look a whole lot different than Georgia or Alabama. In fact, if you were a passenger in a car and closed your eyes while driving through Alabama or Georgia and woke up after you had arrived in northern Florida, you probably wouldn’t even know you were in the Sunshine State just from looking out the car window. 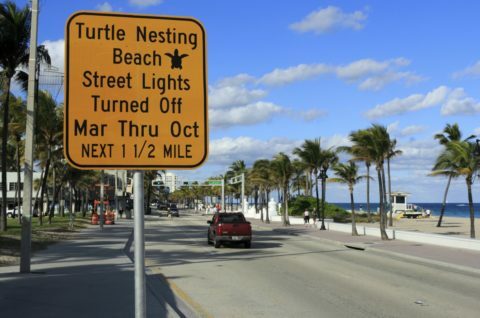 And unless you’re driving down US 98 in the Florida Panhandle or Highway A1A along the Atlantic shore, you won’t see any signs of beaches for miles and miles after driving to Florida! Palm trees? You’ll see tons of them planted around the Florida Welcome Centers on I-10, I-75, and I-95. But you won’t see many palms in their natural settings until you get to the beaches… or South Florida. And Orlando… Where is Orlando? 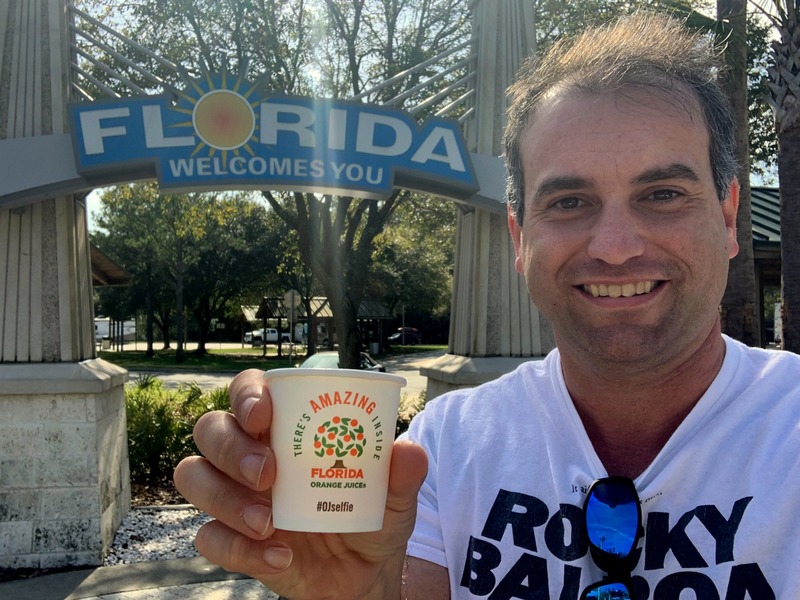 Hang on to your souvenir Florida T-shirts — because the popular Florida theme park city is at least a 3-hour drive from the Florida border along I-95 and I-75, and more like 6 hours from the Florida border along I-10. One of the coolest things you will see when you cross the Florida border is FREE orange juice! Yep, a longstanding tradition at the Sunshine State border is to give motorists driving to Florida a cup of fresh orange juice. Growing up in Florida, I had always heard about the free orange juice they give you at the Welcome Center. But it wasn’t until recently that I finally tried some of this free orange juice for myself during one of my return trips to my home state. Yum… That fresh Florida orange juice is well worth the drive! As you may know, Florida and the citrus industry have deep ties. Oranges and orange juice have long been one of Florida’s largest and most popular exports. What Do I Need To Know About Driving In Florida? You need only a driver’s license from your home state or native country when driving in Florida. You do not need a Florida driver’s license if you’re simply driving for a few days or weeks in Florida. You must wear your seat belt while driving in Florida, or you’ll be fined. All children under the age of 4 (or weighing less than 40 pounds) need to be in a child car seat in Florida. You must have a designated driver if you plan to hit the road right after consuming alcoholic drinks because driving under the influence is illegal in Florida — .08 blood alcohol concentration is the legal limit. 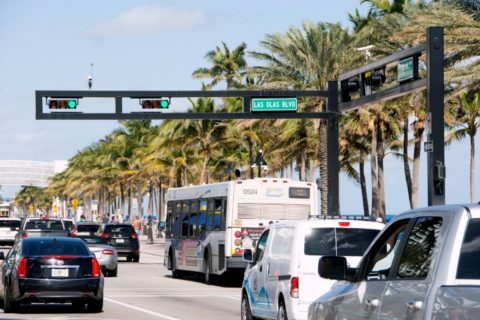 In Florida, you can turn right on a red light after you have brought your vehicle to a complete stop — except when a “No Right On Red” sign is posted at the intersection. You must have your headlights on from dusk to dawn when driving in Florida — or when there is fog or rain present. But… DO NOT use your hazard lights in the rain or fog! You must pull over to the farthest lane whenever you see law enforcement or another emergency vehicle on the shoulder of a road or highway. If this isn’t possible, then you must slow 20 MPH below the speed limit when passing by the emergency vehicle. Need help while driving in Florida? Dial *FHP on your mobile phone to call for help in an emergency. 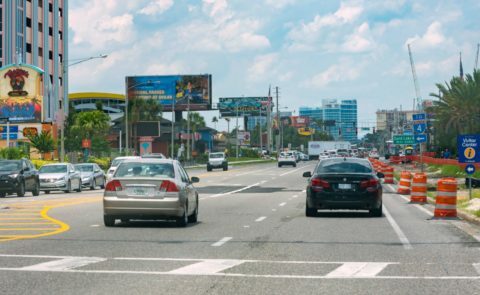 What Is Driving In Florida Really Like? Florida is a mish-mash of people from all over the United States… and all over the world. 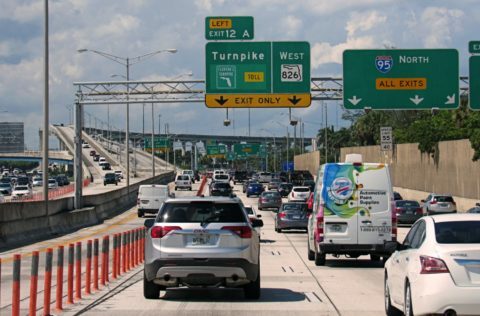 Unlike driving in places like, say, New England, where most everyone is used to sharing the road with drivers of similar cultural upbringing, driving in Florida is the motorist’s version of a melting pot. And things can certainly get hot and heavy on the roads. There are drivers who will just sit at green lights for no apparent reason! Maybe the heat got to them? You’ll come across many drivers who don’t properly use their blinkers — or don’t even use them at all. You’ve got drivers who go 20 MPH under the speed limit in the left lane on highways and major roads. Then there are the drivers who zip along 20 MPH over the speed limit in the right lane. And then there are your garden-variety weavers, Sunday drivers, and cell phone users who make driving in Florida all the more aggravating… and dangerous! Please don’t be any of the Florida drivers I mentioned above! Make sure that you obey the above Florida road rules — just as you would when driving anywhere else. Don’t spend your time slowly sightseeing from your car on the major highways and interstates — that’s what backroads and shoreline routes are for! Drive at or near the speed limit. Go when the light turns green… or else you’ll get honked at! Use your blinkers, so both you and your fellow motorists can travel on the roads together safely. Treat your fellow motorists with courtesy and respect — even if you’re not getting that in return. The Ultimate Florida Road Trip Guide: 31 Places Not To Miss!